When we moved to New York just over a year ago, I was forced to whittle down my cookbook collection. Believe me, losing 3000 square feet of living space will make you whittle down a lot of things. I spent a lot of time and thought considering what books would make the cut. My collection is about 85% baking books. One of my favorite kinds of baking books is bakery cookbooks. To me, those are just the best. I’m pretty sure all of those made the cut. An old favorite of mine is The Sweet Melissa Baking Book. From that book, I share with you these brownies. 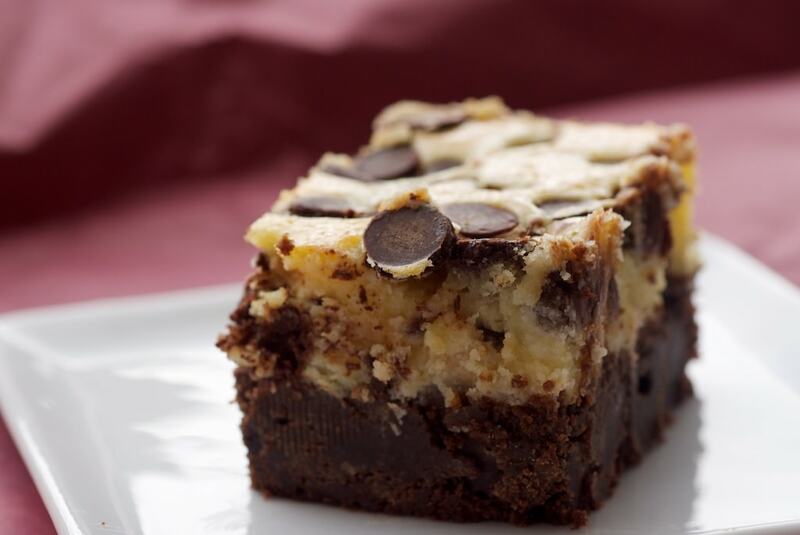 For all of you brownie and cheesecake fans, these will give you the best of both worlds. The bottom layer is a divine dark-chocolate brownie. 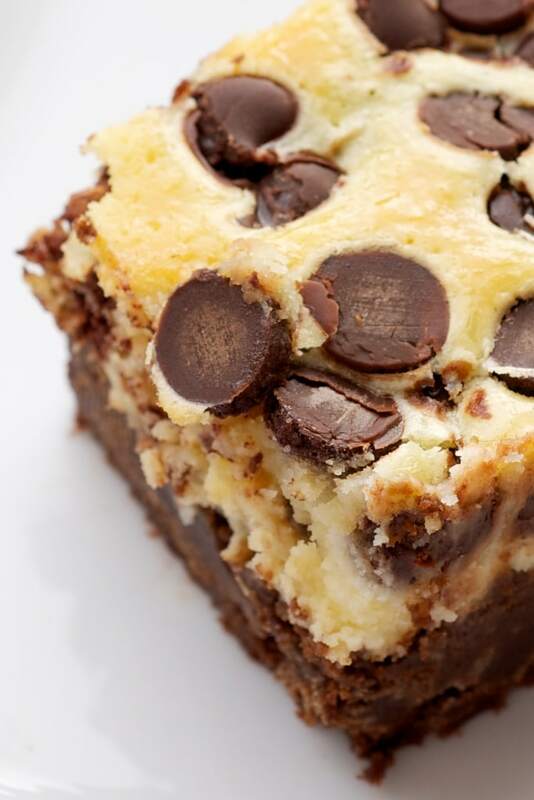 That’s topped off with a dense cheesecake layer sprinkled with chocolate chips. 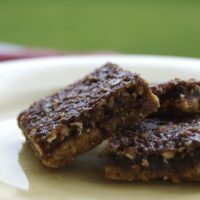 These are tall, thick, dense, delicious bars. 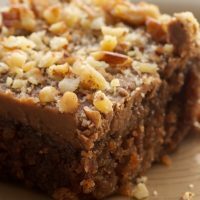 This is the kind of brownie that can be a great casual snack or a perfect ending to a big, fancy meal. They are more than capable of holding their own for any dessert course. Preheat oven to 325°. Lightly butter a 9″x 13″ baking pan. Line with parchment paper or aluminum foil. Melt chocolate and butter in a double boiler or in the microwave. Set aside to cool. In a large bowl, whisk eggs, egg yolks, sugar, and vanilla. Pour chocolate mixture into egg mixture, whisking to combine. Add flour mixture and stir just until combined. Pour batter into prepared pan. Spread evenly. Using an electric mixer, beat cream cheese, sugar, and salt until light and fluffy (about 5 minutes). Add eggs, 2 at a time, mixing well after each addition. Stir in vanilla. Pour cheesecake mixture over brownie layer. Sprinkle evenly with chocolate chips. Bake for 1 hour & 15 minutes, or until lightly golden. Cool completely on wire rack before cutting into bars. Store brownies in refrigerator. Serve cold or at room temperature. Recipe adapted from The Sweet Melissa Baking Book. They are cooling now. My house smells wonderful. Don’t think I’ll wait until they get cool to eat one! Delicious! Look forward to baking these. I was in the group, Sweet Melissa Sundays for a short time. Never got around to trying these…but, will soon. These look great. Its funny that they’re called black bottom brownies when the bottom just is the brownie. I love bakery cookbooks too, so beautiful and an insight into delicious treats. These look fantastic! I was *just* looking for brownies I could make without having cocoa powder in the house. 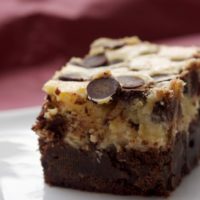 Cheesecake brownies…one of my very favorite things in the world. Love this! Hi, Sarah! There are a lot of eggs in those brownies, so they are cakey. 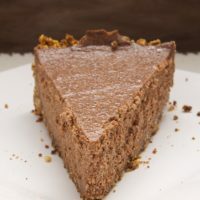 You can see in my pictures that the brownie layer is very dense, making it more of a crust. As for the cheesecake layer, it’s a very thick, fluffy thing. How fluffy is too fluffy? If you want, shoot me an email at bakeorbreak at gmail dot com, and we can talk more about it. Wow! All I can say is Yum! They look amazing. Of course I love cheesecake and chocolate, so yeah. How do you get it so your reply to the comments show up in pink, I like that. Tina, it’s a WordPress plugin called Author Highlight. After refrigerating the brownies, they tasted much better 🙂 I think the key is definitely serving them cold! My chocolate chips still sank thru the cheesecake layer, but they are delicious! Thanks! I made them today. 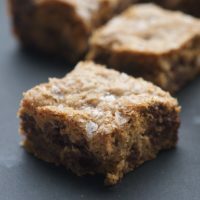 The outside brownies are delicious. But, the center brownies were undercooked. Is there a temp I could test them at to be sure they are done before removing them? Melody, you should be able to use a toothpick or a cake tester to check for doneness. Hi Jennifer, what did you do so the chocolate chips didn’t sink to the bottom? Mariella, I didn’t do anything to prevent that. I think if your filling is thick enough and not overmixed, it shouldn’t be a problem. 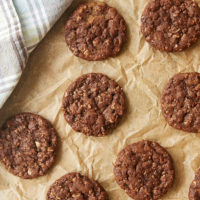 Some people like to toss chocolate chips in a little bit of flour to prevent sinking. But, I think that, aesthetically, I might not recommend that for this recipe. 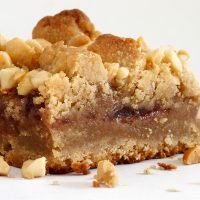 Renee, you can half the recipe and use an 8-inch square pan. I’ve never done that, so I can’t give you a definite answer on baking time. I would start checking it around 55-60 minutes. Has anyone ever tried to freeze these? I accidentally made them for a party that isn’t for a week! Ooops! I know I could eat the whole pan right now, but that would not be a good idea! Annika, I think these will freeze just fine as long as they’re tightly wrapped and sealed. Hi, Aicha. Did you do anything differently? Were all your ingredients fresh? Butter the pan then put parchment paper down? Sounds kinda strange. The butter helps keep the parchment paper in place. It makes spreading the brownie batter much simpler.